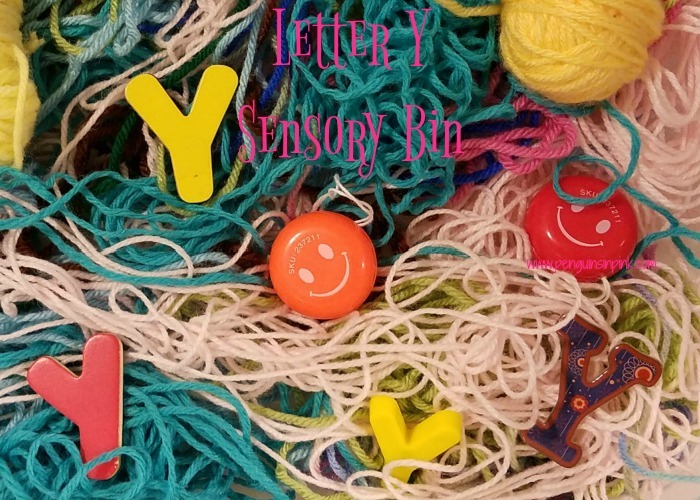 This post, Letter Y Sensory Bin, may contain affiliate links. This means if you make a purchase through one of these links, Penguins in Pink will receive a commission at no additional cost to you. 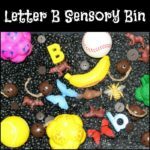 This year during our homeschool preschool and pre-kindergarten, I thought I would try out some sensory bins. 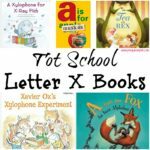 We are almost to the end of the alphabet, so even though some of these letters are hard to do I’m going to finish up. 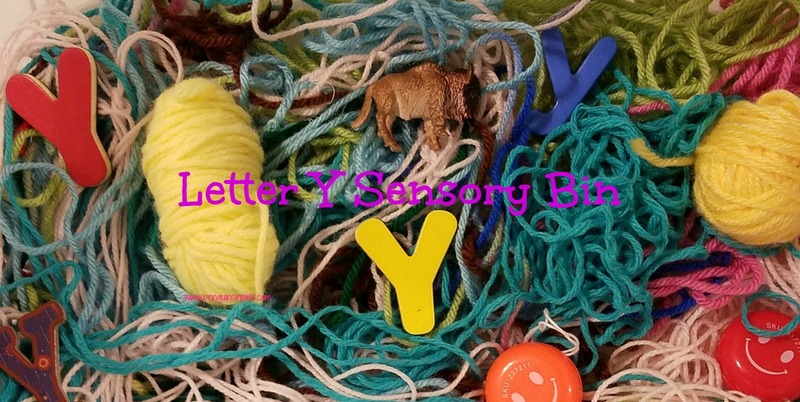 During our twenty fifth week, we worked on learning about the letter “Y.” To find items for our Letter Y Sensory Bin I raided the girls’ toys, my craft supplies, the pantry, and our school supplies. 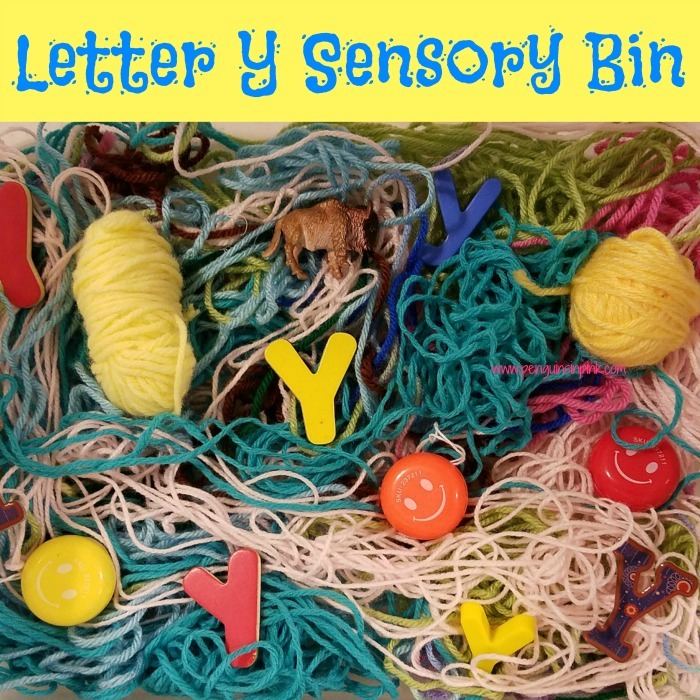 Letter Y Sensory Bin was a lot of fun. 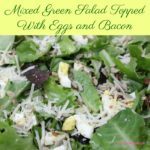 🙂 I have included the Amazon links to the specific products I used or noted next to them where I got the items. Cover bottom of bin with yarn. Add in the plastic toys and letters. The girls loved exploring their Letter Y Sensory Bin. They used their hands to dig around and find the toys, the fine motor tool set to scoop, grab, and pinch up each item. They also counted the different kinds of items, counted the total number of items in the bin, and tried stacking the items. 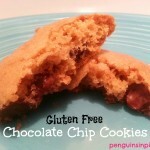 The first time the girls started exploring their letter “Y” sensory bin, I read Yuck! 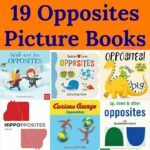 Said the Yak from our Tot School Letter Y Books list. During the rest of the week, we listen to music genres or instruments that begin with the letter “Y”. 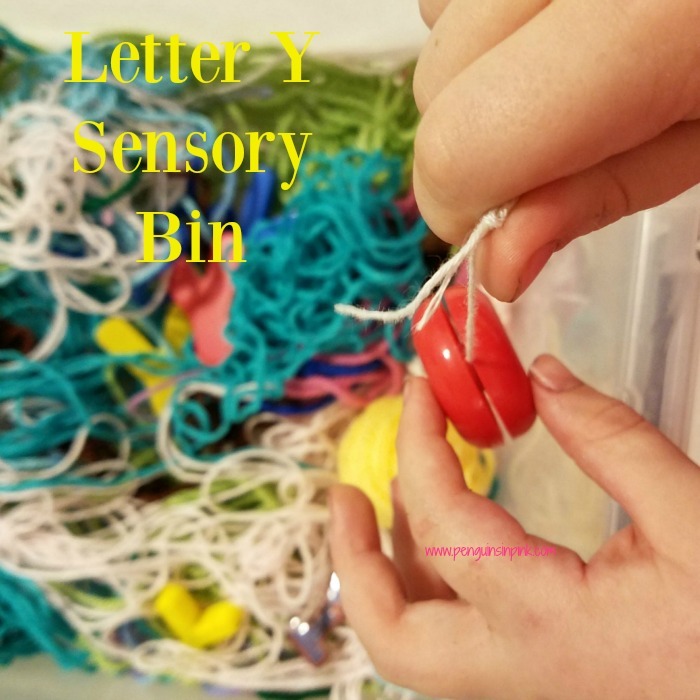 Have you ever tried a letter Y themed sensory bins with your kids?